This past week the weather has been so lovely, really has put me in the mood for spring! 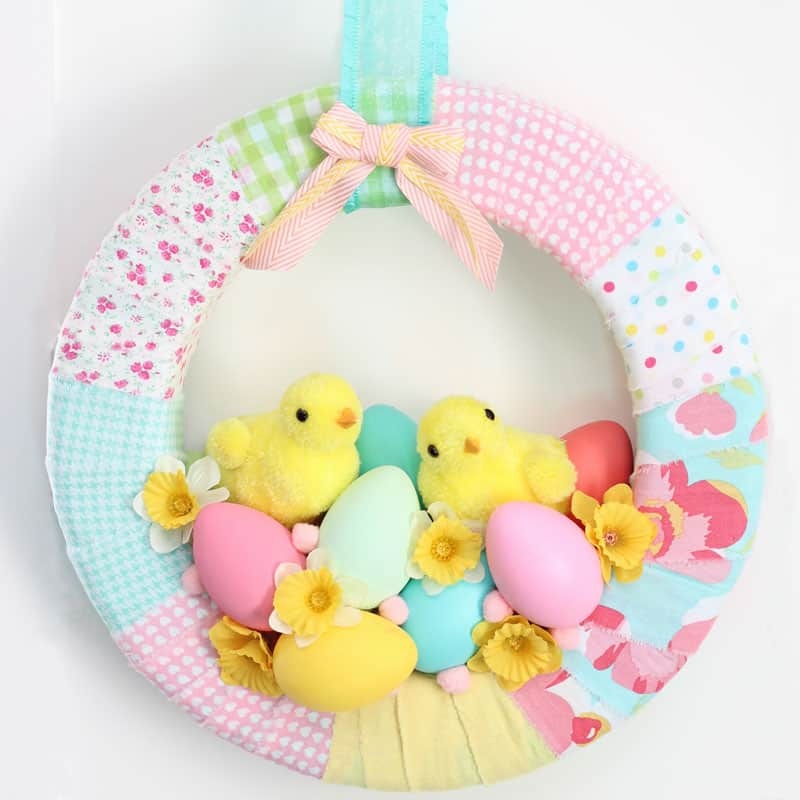 Chirping chicks are just around the corner, and I couldn’t wait to get ready for spring with a cute Easter Chick Spring Wreath. Y’all know how much I love a cute wreath, so I dug through my fabric scraps and hauled out the cutest combination of spring colors I could find. The perfect thing about making a scrap fabric wreath is you don’t need a lot of any one pattern. My strips are approx. 2″ wide by 18″ long. The ends are hot glued together on the backside of the wreath as I wrapped them around. Aren’t these little pom pom chicks the cutest?! I’d love to take credit for making them, but I picked them up for $1.50 at my local fabric store. 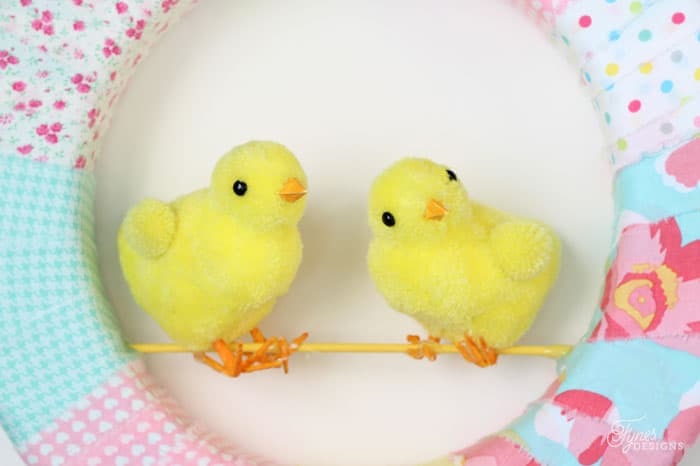 You can check out this Pom-Pom Chick tutorial and this fluffy pom pom tutorial to make your own. Or you could mix it up and try these super cute pom pom bunnies. I also have to let you in on my best Easter find this year… Walmart has paintable Easter Eggs, 12 for $2! They look and feel like a real egg, but no boiling and blowing them out, win, win! 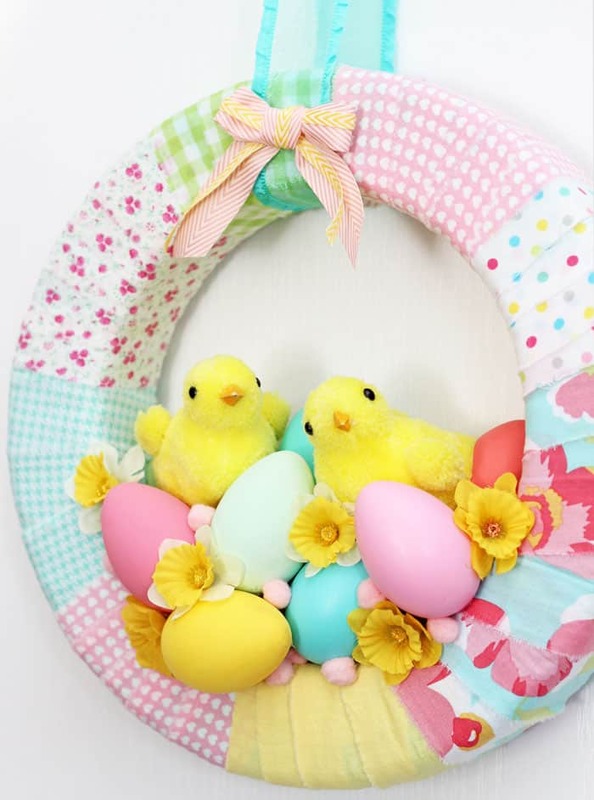 I used a Make It Fun Foam wreath to start, so I just snipped a tiny hole in the fabric and poked a small piece of dowel into the wreath to create a perch for the chicks. Since they have wire feet I was able to bend their toes around the dowel and hot glue in place. I then hot glued the painted eggs around the chicks to make them look like they are sitting in the eggs. 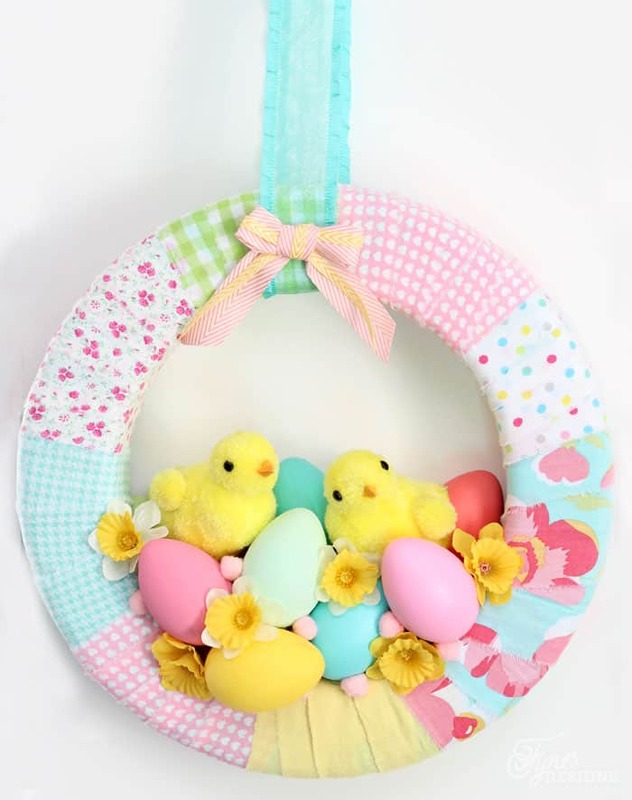 I strung this Easter Chick Spring Wreath up with May Arts Turquoise Ruffle Edge Sheer and a cute pink and yellow Twill Chevron bow. 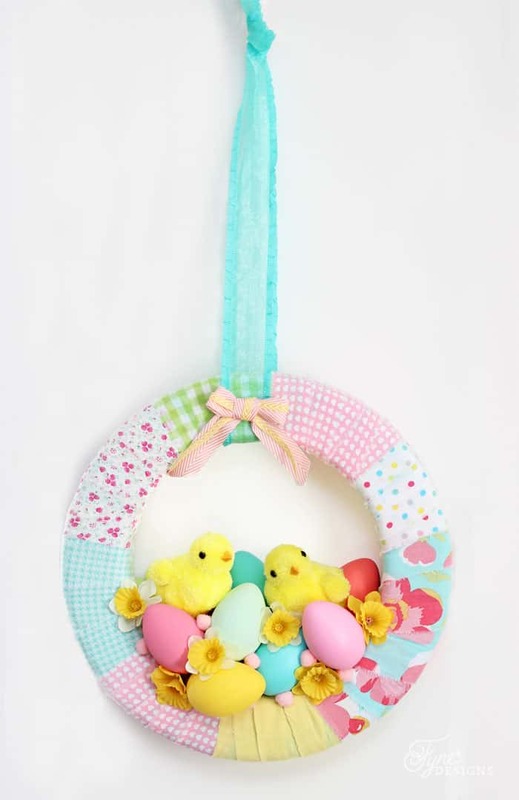 Using dollar store daffodils to fill in the holes, added another spring element to this little easter wreath. I just love my new Spring wreath, I can’t wait to get the rest of my decorations up. It will go great with my Spring flower wreath. You can see all my wreaths in the Wreath Project Gallery. Your wreath is so fun and festive! LOVE it…pinned! Oh so very cute!! So bright and cheery!! This is so cute and pretty! Sounds like a fun project. So, so cute!!! I love all of the colors! Your wreath is so adorable. 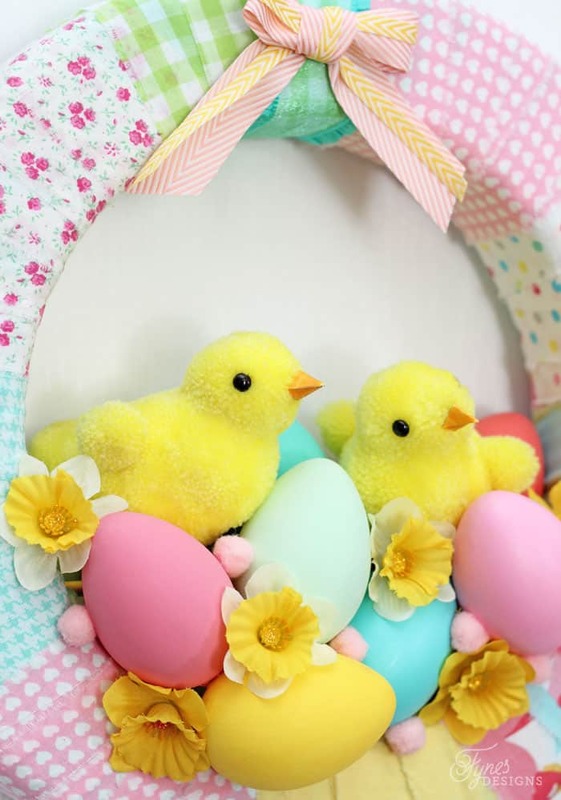 Love the colours and those little chicks are super cute. It kinda makes me smile from ear to ear too! Virginia, I just LOVE this wreath so much!!! Thank you for being a part of the blog hop. Hugs!!! Your spring wreath is cute. I love all the colors you used. I love how you wrapped the wrap with colorful spring inspired fabric! What an awesome way to use up all the small bits of scraps we have laying around. The little chicks are super cute too! It’s is wonderful when you can find pre-made pieces that work with your idea? Thanks Ashley, these little chicks were too cute to use! 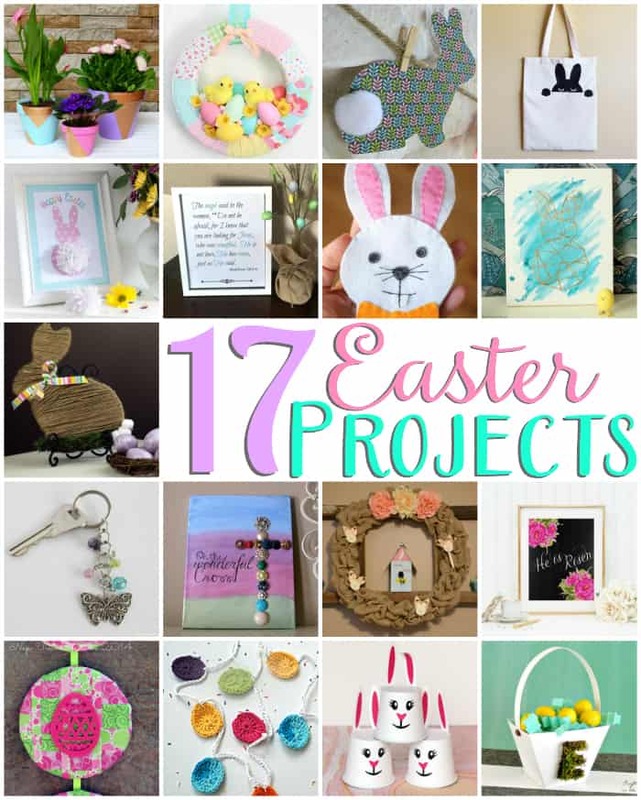 A lot of fun projects to do! I love the wreath. It’s so cute. Thank you for linking up to Party Time and we hope to see you again next week!